I already featured my basement goal posts that I have down in my Sports Lair, but when I painted the poles for goalposts I also had the idea to paint the third pole in the room yellow to make a foul pole. I wasn’t just making any foul pole, though, I was trying to duplicate the right field wall of what is now Sahlen Field, home of the AAA Buffalo Bisons, who are an affiliate of the Toronto Blue Jays. Both the right and left field foul poles feature a standing bison with the foot marker inside the bison. At first glance the logo looks similar to the Bills standing Buffalo and for years I just assumed it was the same logo, but then I got a better look at it. Compared to the Bills logo the wall Bison has a different chin, a bigger back hump and tail. They also moved the position of the bisons private parts. These slight changes are enough to make it a completely different logo. Normally when I make something out of wood, I just go to google images and print up the logo and use it as an outline for my cuts, but I could not really find an image that would work for that purpose. So instead I printed up an extra large copy of the Bills logo onto four separate sheets of standard 8 1/2 X 11 paper and then made necessary alterations by hand in pencil and then cut around where I marked it. I then cut out the numbers in a font that I thought closely matched. After that I painted the bison white and the numbers black and then painted a piece of plywood green adding a yellow home run line to the top. Then I nailed it to the wall and done! Altered his chin, hump, tail and private parts. Cut both the Bison and the numbers. The other day looking around eBay, I found this really cool postcard that featured a picture of a set of really cool single-bar NFL helmets. The postcard looks to be a promotion for CBS NFL broadcasts (obviously). This was still pre merger and the AFL games were on NBC, so they are not included on this postcard. The other possibly more interesting part is the note “Pat” leaves on the back of the postcard. It seems like he decided to write his friend, who must’ve been a Navy man and gload over the big 31-10 Miami Hurricanes win over Navy on November 7th 1969. Pat called it a “Disaster” on the card, but I think that was a quote of his pal up in Albany, NY. He also tells his friend to keep the coffee warm, which is always solid advice. When I tweeted about this, one of my followers snatched it up right away. I really should have gotten a commision on this sale. Here is a little secret though, I never post eBay items that I’m interested in until the sale is over, so I was not planning on buying this one. Moving along on my week long unwrapping of the unopened football card lot I bought from eBay. Today I decided to open the 1991 Fleer Ultra Pack. I don’t think I ever bought these when I was a kid, or at least i don’t remember. The cards look pretty nice, with some action shots, but overall I wasn’t really impressed. This pack did not really have anything great in it, if you don’t count legendary Patriot QB Tom Hodson! Back in 2016 I was able to tour New Era Field the day before the Bills played the Patriots. I had toured the stadium a many times as well as worked there as an overnight security guard in the early 2000s, so seeing the stadium was hardly new, but this time was different because the game day equipment for the next day’s game was all set up. That allowed me to get a nice close up look at the Bills throwback helmets. Once thing you will notice close up, that isn’t always apparent on TV is how metallic or pearl the helmets are. something I replicated when I did my modern Bills Throwback, which I was able to bring on the field on a separate occasion last fall when we had access to the field to photograph our engagement photos. This was the regular season finale between the Browns and Oilers for the 1989 AFC Central championship. 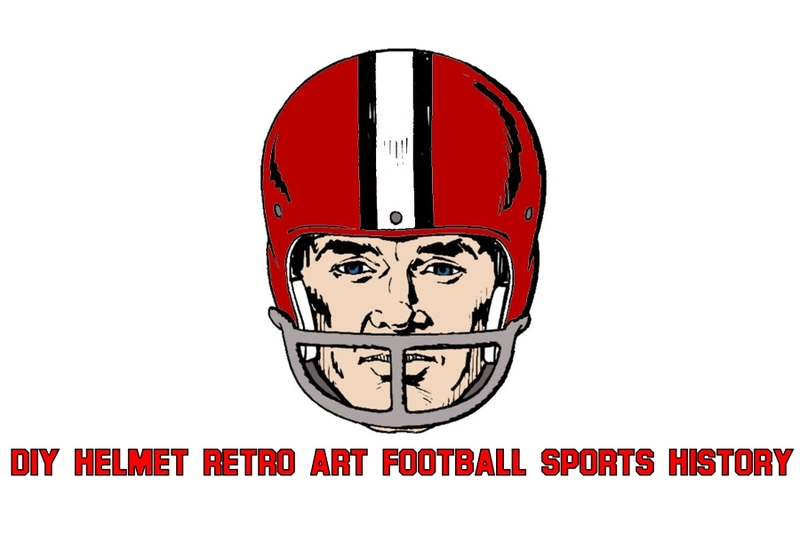 This game was at the Astrodome and was aired in Sunday Night Football. This would be Jerry Glanville’s final season with the Oilers and his final game would be a week later then the Steelers came to town and beat the Oilers in the Wild Card Game. The Central had three teams in the playoffs in 1989. In this game though, the Oilers had a chance to win the division with a win over the Browns who were 9-5-1. The 9-6 Oilers were going for their 10th win, but they would lose 24-20 in front of , at the time, the biggest crowd ever at the AstroDome. 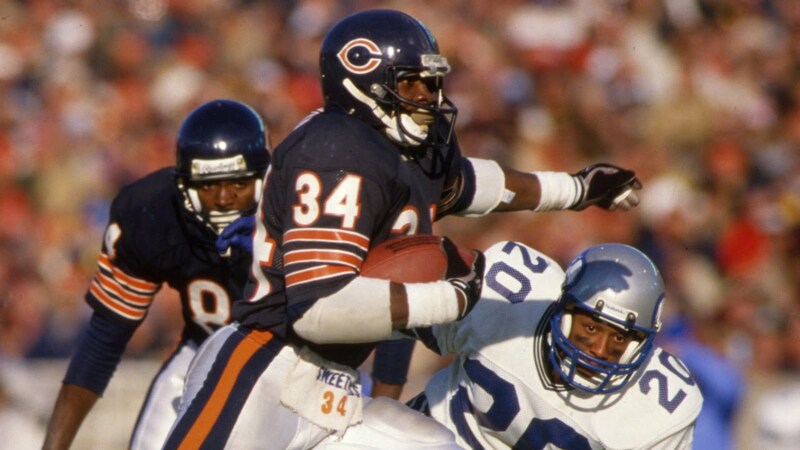 Walter Payton only wore one helmet his entire NFL career. 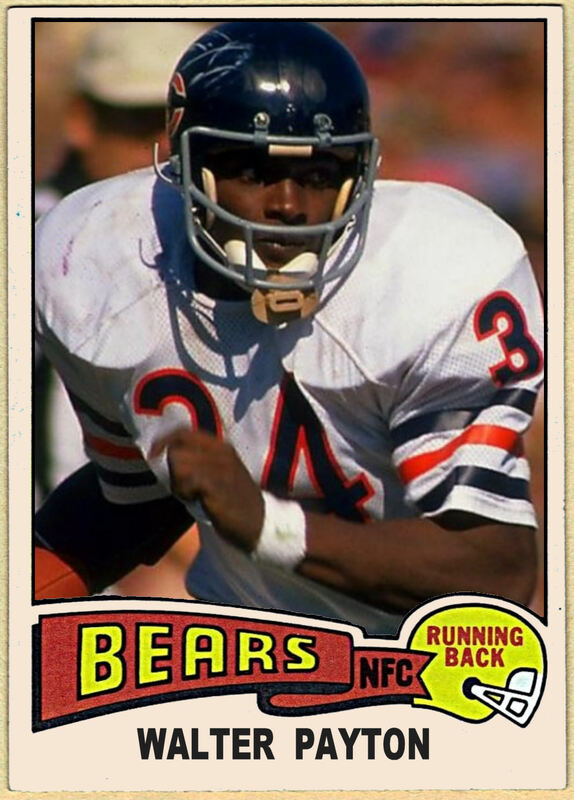 His trusty Wilson helmet was worn for all of his rushing yards and a switch from gray to blue masks for the Bears.